In today’s fast paced economic growth scene, employee upskilling has become immensely important. The advent of Artificial intelligence (AI), innovations and improved business processes, which are gradually trying to replace the requirement for man-power, has especially made the need for upskilling inevitable. This global phenomenon has affected almost every recognised profession, not excluding even the rare, specialised and highly technical profession of translation. Common Sense Advisory (CSA) reports state that only 1% of all content created is translated and that there are not enough translators to translate the remaining content. There are approximately 200000 translators who are actively involved in translating the above-mentioned content. Further, translation is a niche and premium service, due to which a lot of content remains untranslated. Post Editing of Machine translation: The modern translator is a subject matter expert and can easily fit into the role of a highly skilled editor. Upskilling by learning about latest trends and developments, say in engineering and medical or even social media can help a translator provide expert review comments on machine translated content. This also leads to the creation of ‘Terminologies and Glossaries’, which will further enhance the translator’s skills. Digitization of legal content: The legal sector is always in need of translators. Numerous claims, which are usually mutli-lingual in nature, are submitted across the world. Legal content that is usually not easily extractable, runs into pages, making the job of the translator even more challenging. To add to that, there is always a scarcity of time. Translators with legal qualifications can now augment their skills by using Content Enrichment tools, which link the content to online data. Modern legal translators can now be seen as ‘designated legal consultants’ who are required to provide key information on the data points. Starting from Online or web based interpretation, testing of online multi-lingual software, providing tips to gaming companies on ways to localize their games/content to attract gamers from across the globe, providing multi-lingual email/customer support using chatbots to creating e-learning courses for a global audience. 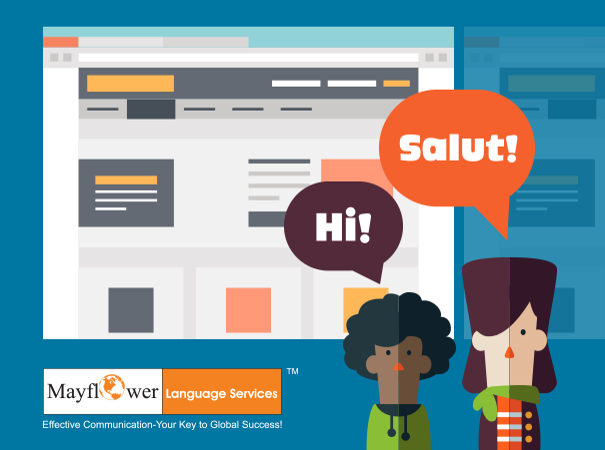 All these services have emerged with the onset of technology, which, in turn, aims at eliminating language barriers. Translators have nothing to fear from technology, only if they are constantly looking to develop new skills. This will not only strengthen their role as specialists but also open newer avenues for growth. Researching and updating information on the latest trends and developments in their specialised domain. Attend online courses which can help them in understanding the latest jargon. Joining Translation Associations like ELIA, which provide information on the latest technology available to translators. Analyse publicly available translations by comparing the source- and target-language versions. Another area where translators can really add value is blogging. Translators are a source of varied knowledge that is not just restricted to the languages in which they translate, but also to the industry and domain that they are associated with. Many marketing research companies are always on the lookout for information rich content and are willing to pay a large amount of money for articles, surveys and blogs. In today’s age of messaging and texting, a technically savvy translator has a lot to gain by enhancing his mobile usage skills. Companies are now creating apps, which promote Crowdsourcing, even for translation, wherein a translator can work on the go and translate multiple, smaller content on the fly. It is time to prepare for the future and translators need to equip themselves with the correct tools to ensure their long-lasting role as language specialists. There is no industry that does require translation services, from cross-border e-commerce to simple face to face interpretation to showcase products to a prospective client, from testing localised games to providing best practices on how to transcreate marketing content to attract new audiences. Most LSPs, translation technology providers and government agencies are also providing free versions of tools so that translators can re-train their skills and increase their productivity, as well as the speed and quality of translation. If translators can embrace this change and adapt to the rapidly evolving technology, they might realise the absurdity of their fears of replacement. It has been proven time and again, beyond doubt, that technology creates newer avenues and new roles instead of leading to unemployment.